All photos courtesy of Front Door Real Estate. 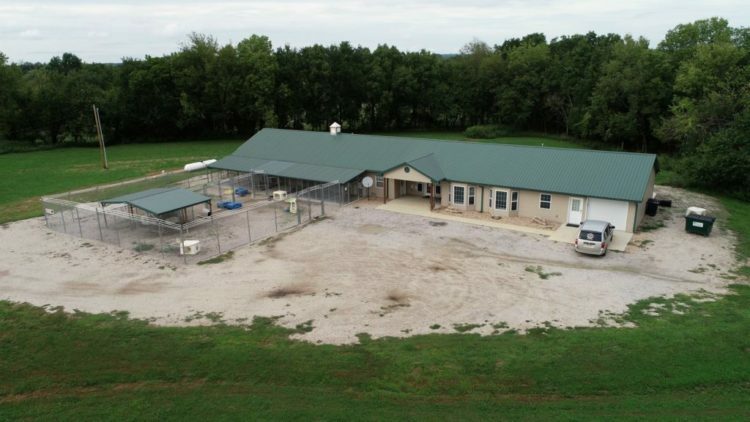 The current Lee’s Paws and Claws Animal Shelter property features numerous dog kennels, quarantine kennels, cat rooms, cat yard, dog play yards, reception area, office and restroom facilities on 19.8 Acres. Contact Jared Leek, Owner/Broker of Front Door Real Estate, Inc., for more information at (620) 224-9787. 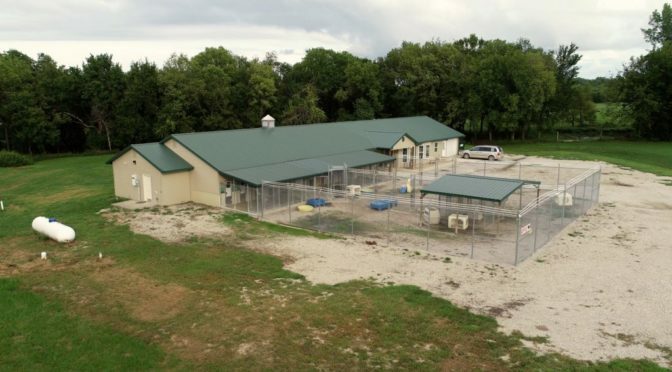 The local animal shelter is seeking a new facility and selling the old one located southeast of Fort Scott. “The current shelter, which was built and then expanded thanks to a generous gift from Lee Weast, is fantastic but has presented two challenges. One is that fundraising has not provided the income required to run a 4,000 square foot facility. “Another key part of the transition to a sustainable business model is the implementation of a foster care program for dogs. Dogs who have been in foster care are better socialized and therefore more easily adopted. 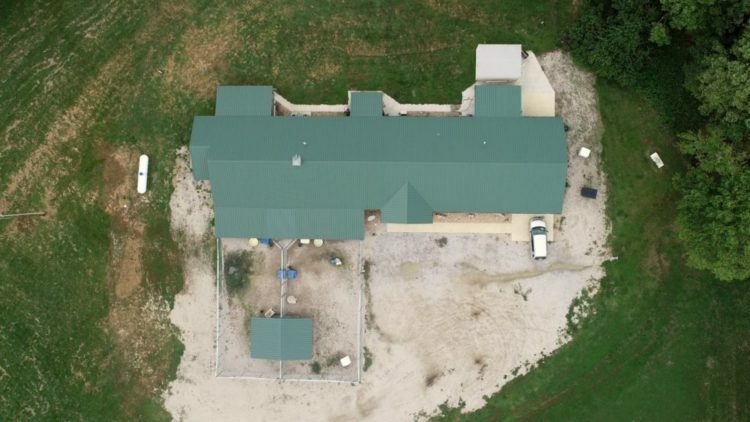 “The time and expense associated with maintaining our current facility has been an issue for several years. The current executive board has been exploring options for about a year now. 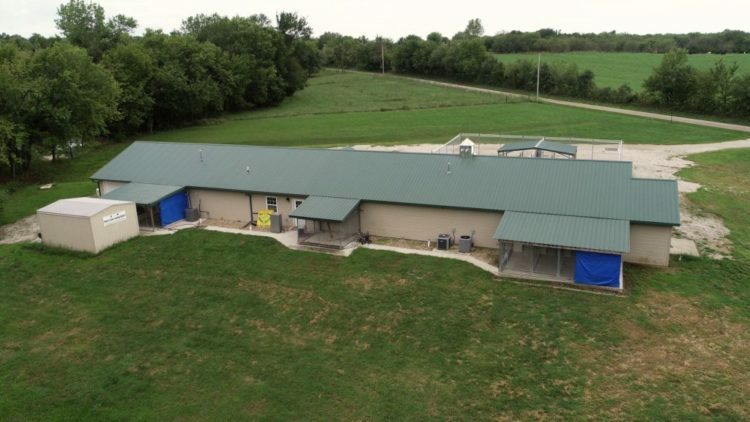 The first decision to offer the current facility for sale was made a few months ago and the board agreed unanimously to sell the current building and acreage. Where is the current facility located? What are you looking for in town? Tell about the animal foster program. “Our goal is to develop a network of foster homes for dogs waiting for adoption. A foster home is a better temporary situation for dogs than a shelter because the animals live in a home where they receive more attention and are socialized with family members, both humans and other pets. When you move into town what will become of the dogs while waiting to go into foster homes ? You stated it could take several weeks to approve a foster home, It would seem you’d still want a nice spacious place to keep the dogs while they await getting into a foster situation or will they just be kept in small kennels in the new facility ? 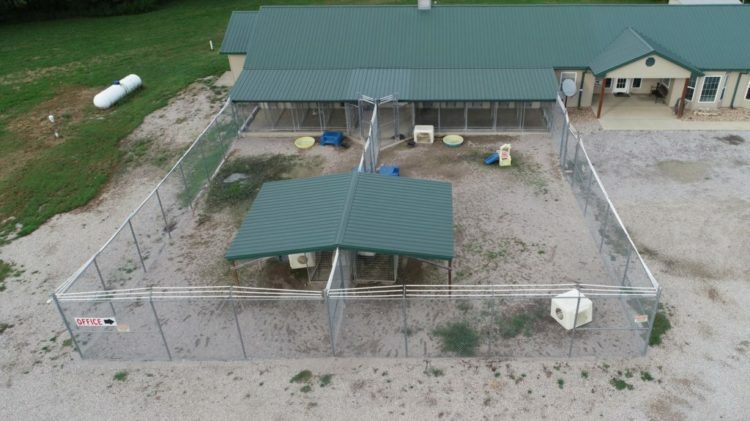 Will you work with the dog shelter in ft. Scott to prevent or reduce the number of dogs that get euthanized ? I have lived here 9 years and up until 2 years ago I never heard of Lee paws n claws. Many people are unaware of the facility . Not judging but I have heard that they have had employees caught stealing from Facility & infact kept them on staff, this also puts a bad taste in local people’s mouths for donating.